To view the full report, download the pdf file at the top of the page. 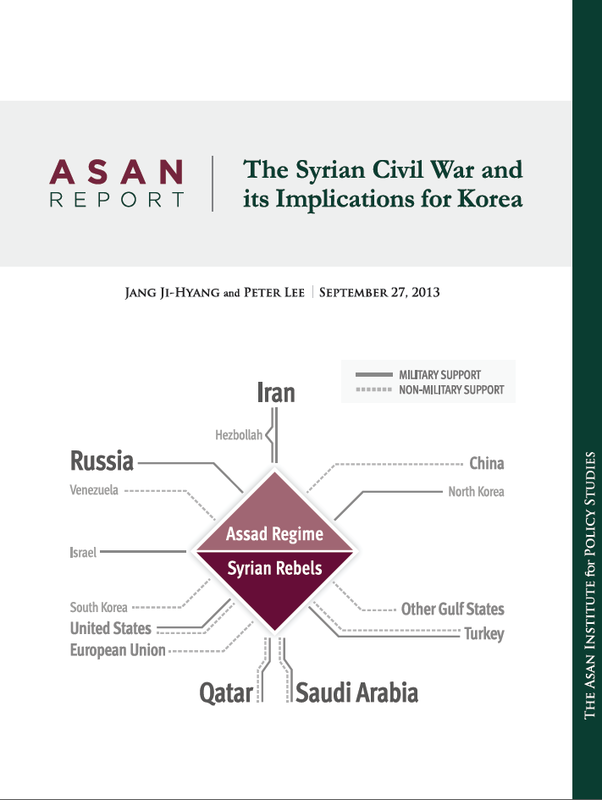 This report discusses the causes behind the protracted nature of Syria’s civil war, how a decisive outcome can be reached, and what South Korea can do to aid such a resolution. It concludes with an analysis of the implications for the Korean Peninsula and offers policy recommendations for what role South Korea should be playing. This report contends that there are two factors explaining the Syrian civil war. First, the security establishment and the urban elites have been slow to abandon the hereditary dictatorship of Bashar al-Assad out of fear that the ensuing uncertainty will be worse than the status quo. Second, while Iran, Russia, and China have continued to steadfastly support the regime, the international anti-Assad coalition’s competing goals have led to sporadic and incoherent support for the rebel opposition mainly composed of low-ranking conscripts, civilians, and foreign fighters. The current strategy of calling for Assad to step down while cautiously arming the rebels has been ineffective. First, a concerted effort is required to remove key elements of Assad’s security apparatus from the current balance of forces by encouraging their defection and providing more aggressive and direct incentives rather than negotiating with the regime’s leadership. Breaking up the cohesiveness of the core military elites and triggering an internal coup will be the key to finishing the civil war. Second, there needs to be agreement between Turkey, Saudi Arabia, and Qatar—the rebel’s major supporters—with the United States and European Union on more direct and coordinated military funding and intervention. These countries must also be prepared to offer concessions to Iran, Russia, and China to secure their reluctant acquiescence for Assad’s departure, such as assuring them that a pro-Western, radical Sunni regime will not take over. Syria is a test of whether the international community can work together to end civil wars in the face of entrenched resistance, domestically and internationally. As an internationally active middle power, South Korea should continue to use its position at the United Nations Security Council to call upon the Assad regime to respect the rights of civilians. It should significantly increase its aid contribution for Syrian refugees, which is currently only $5 million. It should also offer greater humanitarian assistance for the more than 2 million refugees residing in neighboring Turkey, Jordan, Lebanon, and Iraq, where its political and economic interests are quite strong. Finally, there are important lessons South Korea can learn from the Syrian civil war vis-à-vis North Korea. If North Korea were to experience a sudden, popular uprising that eventually led to civil war, the twin variables of internal cohesion and external division may similarly hold true. After all, both Syria and North Korea are resilient, dynastic hereditary succession regimes dependent on the backing of China, Russia, and Iran. In the event of a North Korean civil war, we may witness the similar kind of regime survival and international stalemate that has prevailed in Syria. Therefore, South Korea and the international community should focus on two goals: the defection of key military elites and incentivizing China to abandon Kim Jong-un. 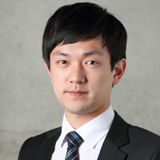 First, it will be crucial to focus exclusively on key units in the security establishment strategically located in urban areas, such as the Pyongyang Defense Command and the Guard Command, and facilitate the defection of high-ranking officers by providing amnesties, financial incentives, and evacuation plans. Second, it will be decisive to provide incentives to China, Russia, and Iran to give up their support for Kim Jong-un as the leader of North Korea. The threat of regional economic collapse could incentivize China, in particular, to quickly seek an end to hostilities. While the Syrian civil war has not destroyed the economies and oil production of the region, a prolonged crisis in North Korea will have a devastating effect on China’s economy.